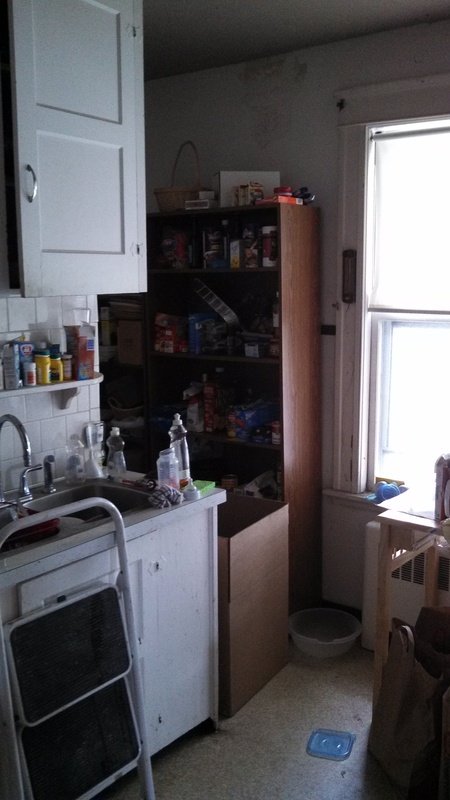 Below are photos of what our kitchen looked like before. And by the way, this was not my kitchen!! 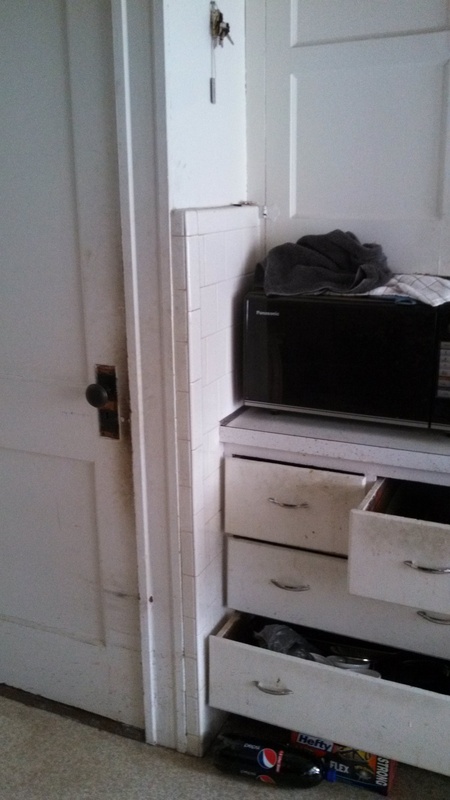 The sink was moved to where the windows originally were. There were 2 old windows that were replaced with the one above the sink. 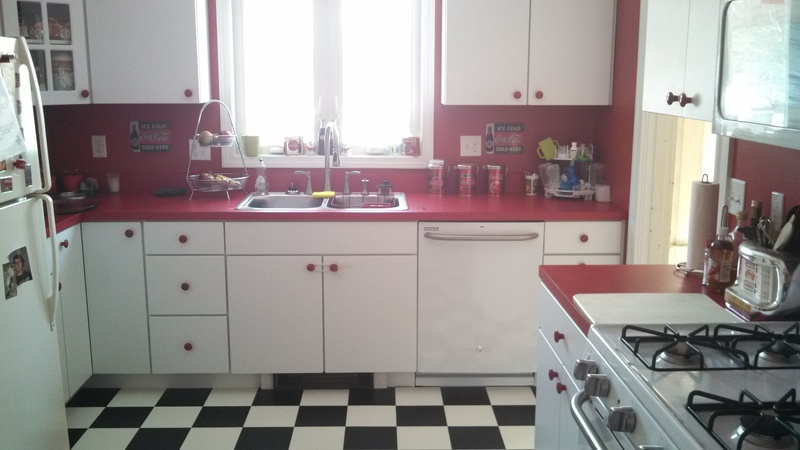 I picked out the funky red light above the sink and I think it goes great with the kitchen. 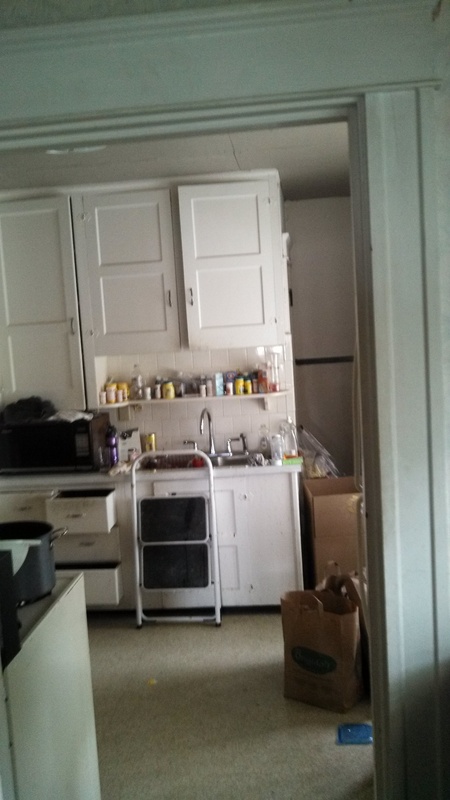 The refrigerator was moved to where the original sink was, and the new dishwasher is where the fridge was before. We have a very small pantry closet built between the fridge and the door that leads to the basement and in-law suite. 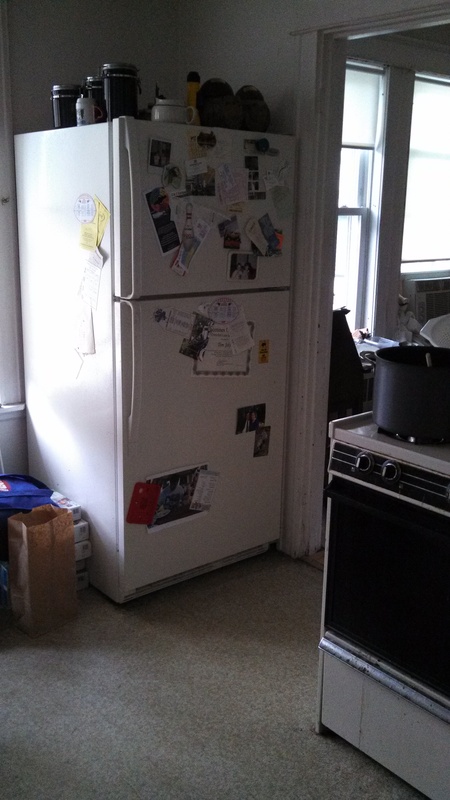 We kept the original refrigerator (I decorated it with Coca-Cola magnets) and we did get a new stove, microwave, and a dishwasher. 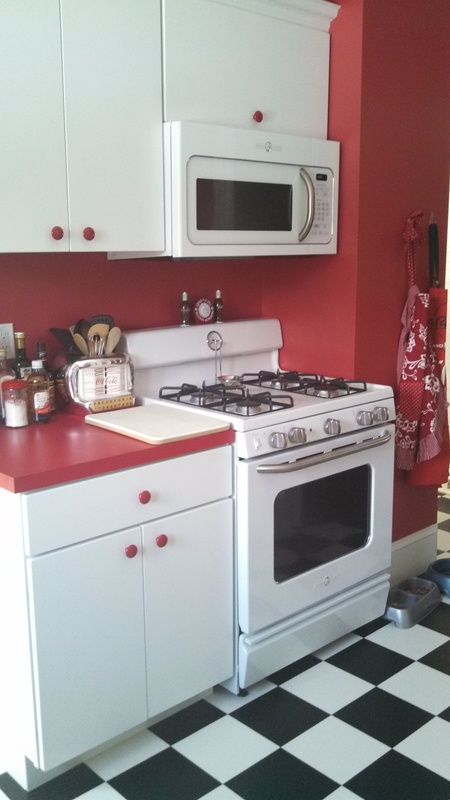 The new appliances are all GE, from the “Artistry” line which is a retro style. It was perfect for our theme! The floor is vinyl and it is easy to clean and soft. 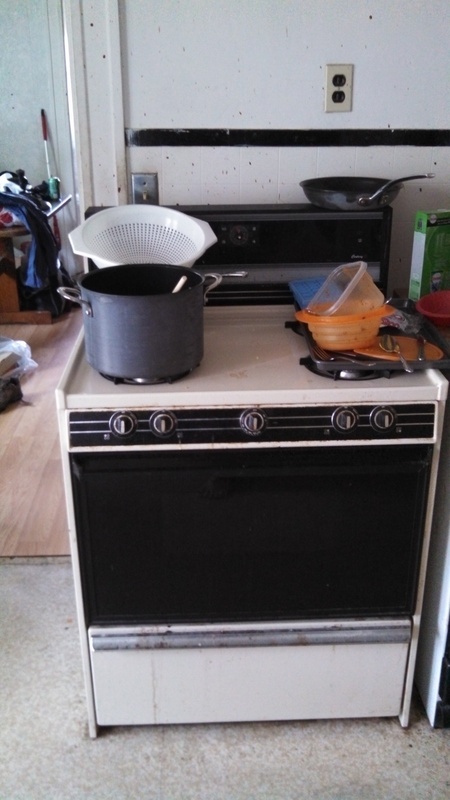 The squares are also 9″ instead of a standard 12″, which were great for the size of the small kitchen. 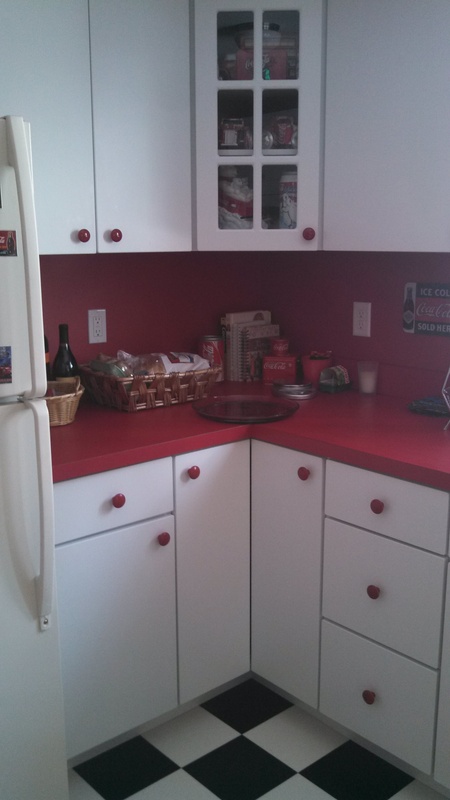 The cabinets are laminate and the knobs are ceramic red. 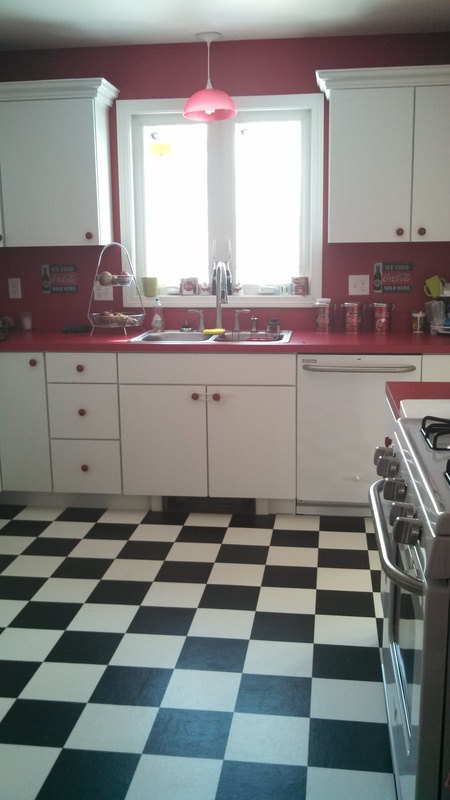 The counter tops are a red laminate. The walls were painted ladybug red by Benjamin Moore. 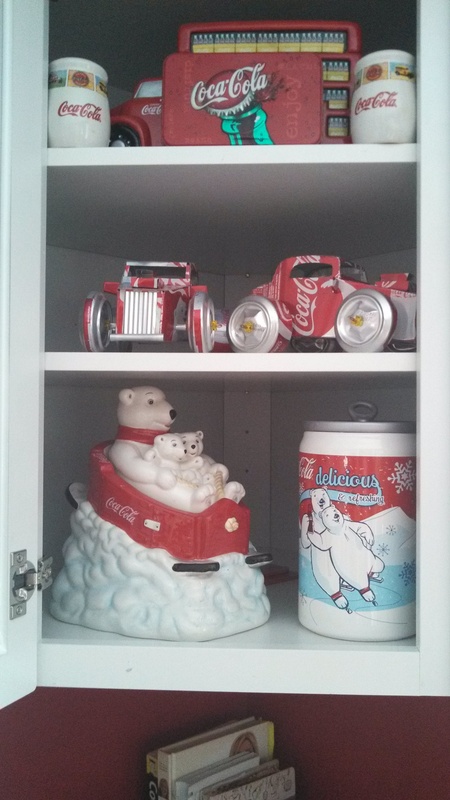 My corner cabinet is my miniature “showcase” of some Coca-Cola cookie jars and a couple of hot rods made from Coca-Cola cans- handmade and purchased on Etsy. I still want to add more Coca-Cola to the kitchen but right now this is what it looks like 2 months after the remodel. I am a very lucky woman! My in-laws paid to have all of this done and they let me have the freedom to do things the way I wanted. I couldn’t have asked for a better kitchen and I am so grateful for what I have.